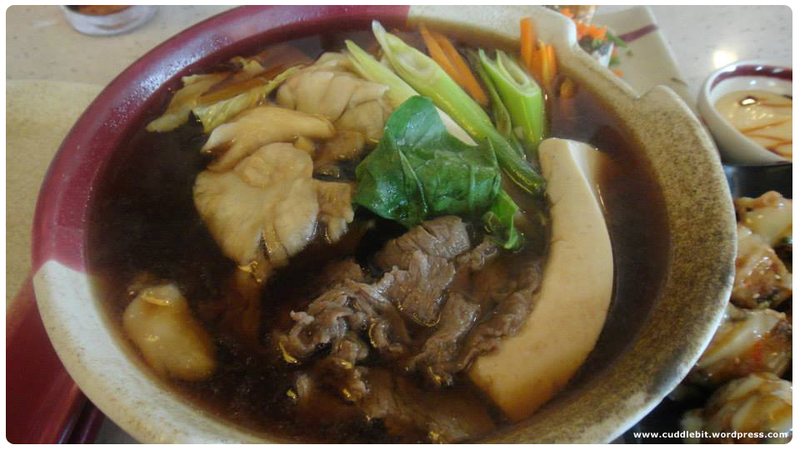 So, we got creamed by typhoon Mario, to lift up our sunken spirits we are looking for our comfort food/s. Specifically something Japanese. It is no secret that Kei and I are huge fans of Japanese cuisine. The food haunt I am about to share is also no secret. 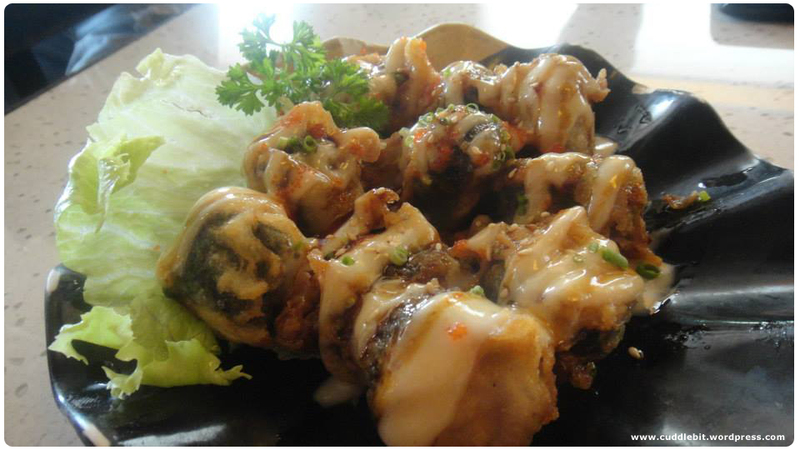 In fact it is very famous for its makimono. 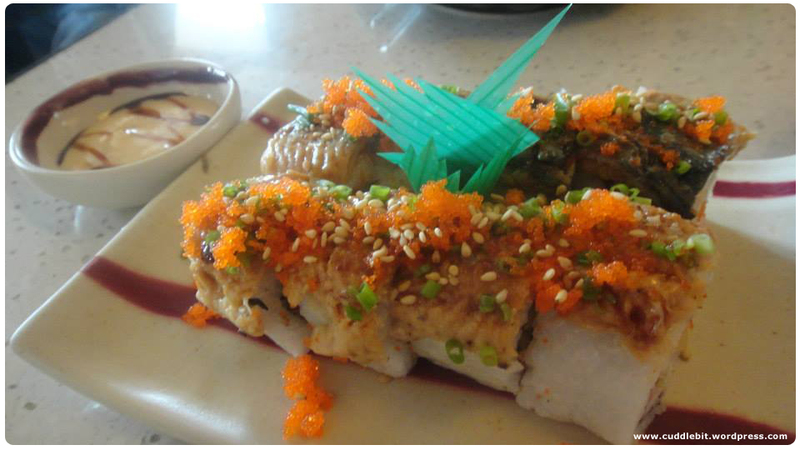 I am talking about Omakase. This restaurant has a huge following and you have to wait to be served. But, we don’t mind. 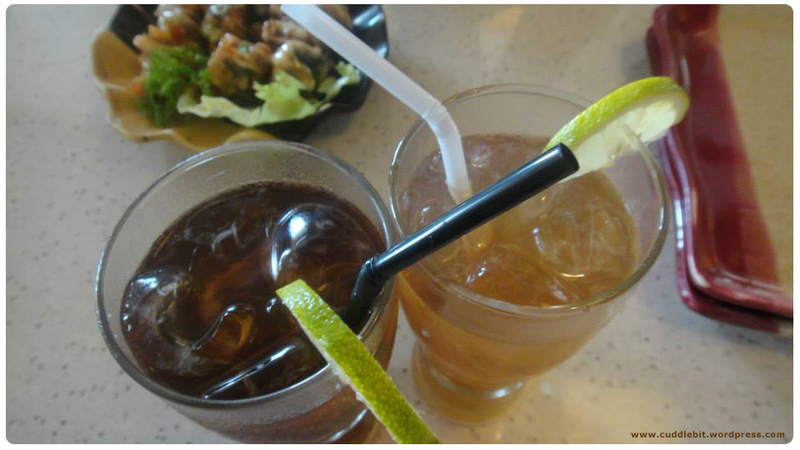 We have kept frequenting the place. 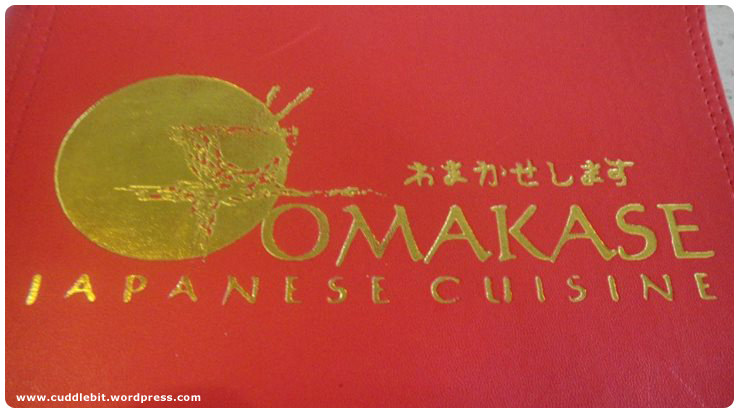 Omakase’s Makimono is not exactly authentic as they put their own twist to it. It would be safe to say that they serve Japanese fusion cuisine. 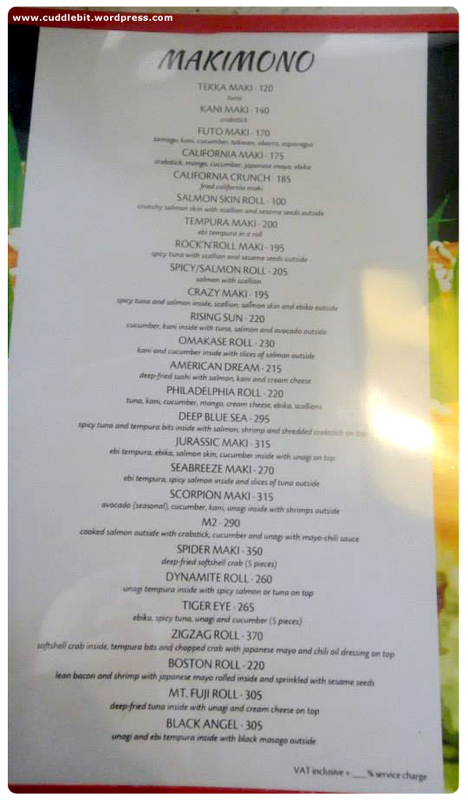 For this restaurant, We would happily say “omakase” and leave the selection to them! But we have our favorites of course. 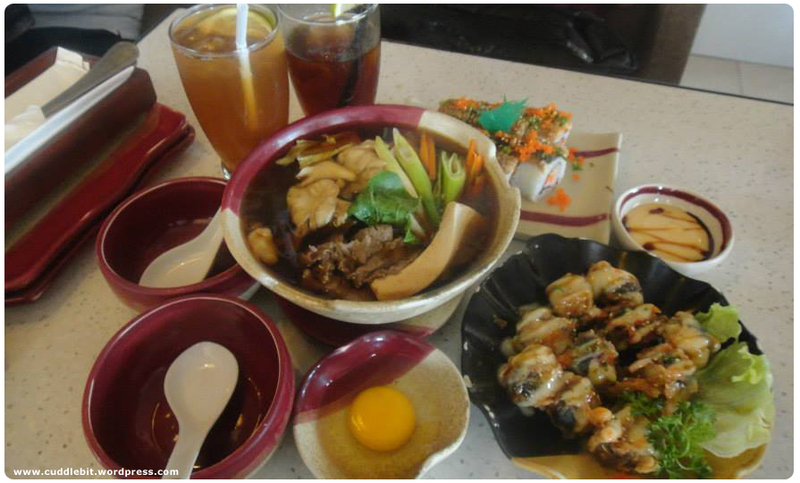 Here is a peek of their choices of their famous makimono. this will give you a hard time choosing what you like to order. We really took time to look at their selections as we liked most of them! Their interiors are minimalist inspired and accented by cute kokeshi dolls. We usually arrive here to get lunch, so there is a lot of people and we can’t really take a lot of photos. Sorry. They served seafood dumpling (assorted seafood wrapped in nori, deepfried and served with mayo and soy sauce) and our drinks (raspberry iced tea for me, and orange iced tea for Kei) first. Next came the jurrasic roll (Ebi tempura, ebiko, salmon skin, cucumber inside with unagi on top) followed shortly by the sukiyaki. All together in one photo: This is our initial order. On the next, we had a chicken bento, zigzag roll ( Softshell crab, tempura with Japanese-mayo-chili oil dressing) , gyoza and their omakase soup (wakame, kani, eggdrop soup). *I just realized we never got desserts here because we tend to over-eat! Eating here definitely brightened our day! Comfort food indeed. 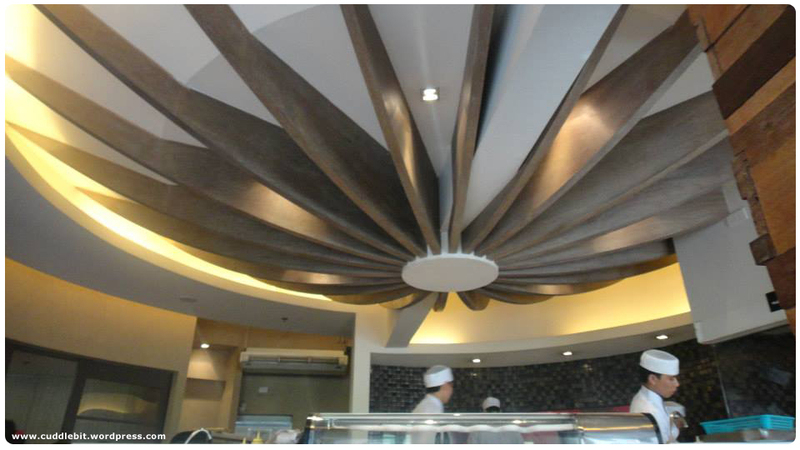 They have branches at Tomas Morato, Libis, Alabang Town Center, Ayala Triangle Gardens and Greenhills. Better to come early. Or repeat after me: waiting is worth it. *All my reviews, opinions, and other stuff expressed here are our own and based on our own experience with the restaurant. This is not a sponsored post, We paid for this (from) our own pocket. 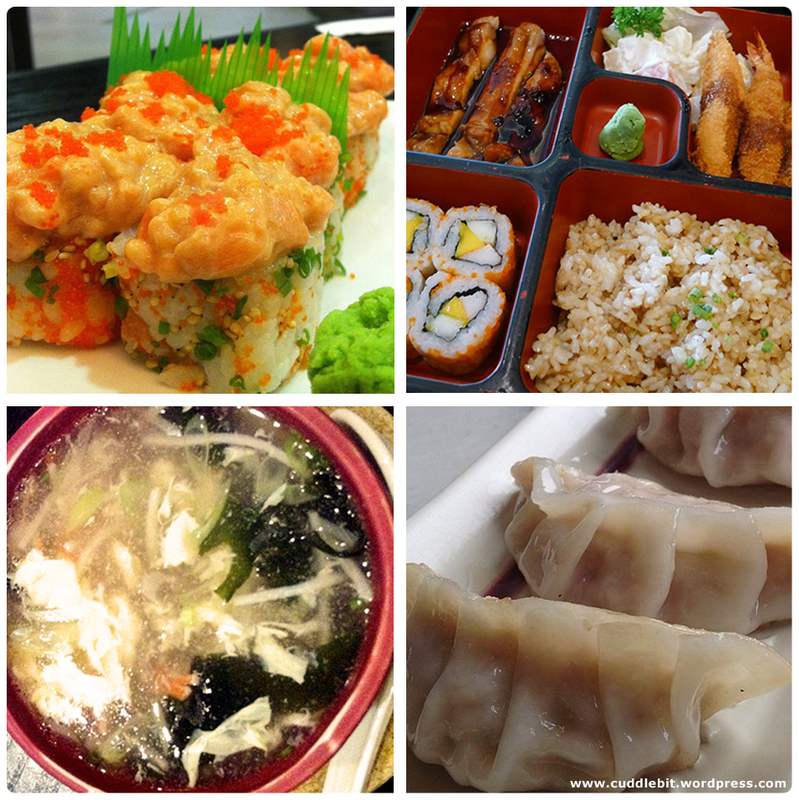 Categories: climate, food, life, reviews | Tags: chili oil, comfort food, cuisine, dressing, ebi, greenhills, gyoza, iced tea, japanese, japanese fusion cuisine, jurrasic roll, kani, kokeshi doll, makimono, manila, mario, mayo, menu, omakase, omakase soup, orange, Philippines, raspberry, seafood dumpling, softshell crab, sukiyaki, tempura, typhoon, wakame, zigzag roll | Permalink.